London will host the eleventh leg of the 2014 LONGINES GLOBAL CHAMPIONS TOUR from the 14-16th August. One of the most visited cities on the planet, London played host to the Tour for the first time last year and the Grand Prix proved to be an incredibly exciting class with one of the fastest jump-offs any of the riders could remember - Britain's Ben Maher prevailed as the eventual winner. 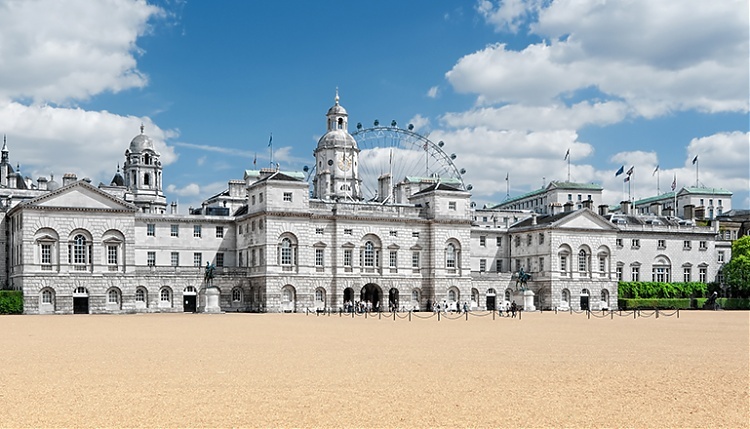 A new host venue for this season, Horse Guards Parade Ground in the heart of the city, provides a fitting and spectacular setting for the Tour within a stone's throw of 10 Downing Street, Buckingham Palace and overlooked by the iconic London Eye across the River Thames. Horse Guards Parade Ground is famous for The Trooping of the Colour on the Queen’s birthday and the ceremonial Changing of the Guard, photographed by millions of visitors each year. A deeply historical city, London is filled with architecture which maps out its past in clear and broad strokes. A capital famed for its art, music and cultural diversity, London is also crammed with museums, theatres and pubs. The culinary experiences on offer are as varied as the languages spoken - London has been hailed as the most international city in the world, but it still remains so very British. Once home to jousting tournaments in the time of Henry VIII, Horse Guards Parade Ground, a cultural icon, will now become the stage on which top show jumpers battle for supremacy as the 2014 season thunders towards a climactic close. With just three events remaining, results in London will be key for those riding high on the overall Championship Ranking.